Includes all-new chapter about the 45th POTUS, Donald J. Trump. 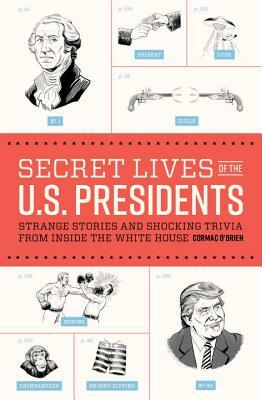 With chapters on everyone from George Washington to Donald Trump, Secret Lives of the U.S. Presidents tackles all the tough questions that other history books are afraid to ask: Which president claimed that God struck down Abraham Lincoln on purpose? How many of these folks were cheating on their spouses? And are there really secret tunnels underneath the White House? American history was never this much fun in school!